Can Orlando Bloom & Miranda Kerr Save Their Marriage? Actor Orlando Bloom and former Victoria's Secret model Miranda Kerr released a statement that they are finalizing their few month separation in divorce, bringing their three-year marriage to an end. Actor Orlando Bloom and former Victoria’s Secret model Miranda Kerr released a statement that they are finalizing their few month separation in divorce, bringing their three-year marriage to an end. The couple began dating in 2007, and their son, Flynn, was born a year after they married. “Despite this being the end of their marriage, they love, support, and respect each other as both parents of their son and as a family,” said Bloom’s representative on October 25th, 2013. The couple has since been spotted kissing and cuddling but reportedly their busy schedules made keeping their marriage alive too challenging. “I love Miranda and she loves me. We both adore and love our son. We both recognise and realise that we’re going to be in each other’s lives for the rest of our lives, raising our son.” Australian model Miranda Kerr commented on how she’s dealing with the split in early November, “No one can be consistently positive, but why not make the choice that makes you feel better rather than the one that drags you down?” Perhaps for this reason, the couple has reportedly signed up for a three-day workshop. The marriage-saving retreat the couple will attend is at the Harmony Hill retreat center in upstate New York. 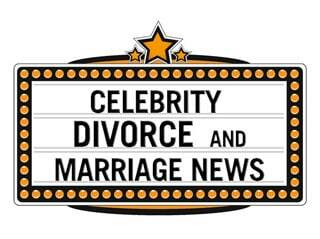 The two celebrities will stay in a private lodge where they will attend spiritual mentoring, marital coaching and regression therapy. The co-owner Chris Rosenthal says that “couples walk in with a huge amount of distance between them, but walk out hand in hand ready to start afresh.” Hopefully Orlando Bloom and Miranda Kerr can reconcile their differences and stay married.